Seriously, they have a ton of doorbell designs… who knew? 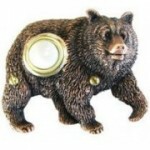 I like the Bronze Plated Bear Doorbell. Despite what I said above and their name, the Doorbell Factory also has a full line of amazing door knockers in addition to doorbells. I like the bronze Yorkshire Terrier “DogKnocker” they offer. 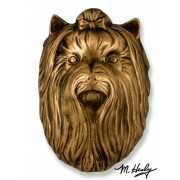 Come to think of it my friend Lynda has a Yorkie doorbell that goes off even before you get to the door… but it is much cuter and furrier than anything the Doorbell Factory has to offer. 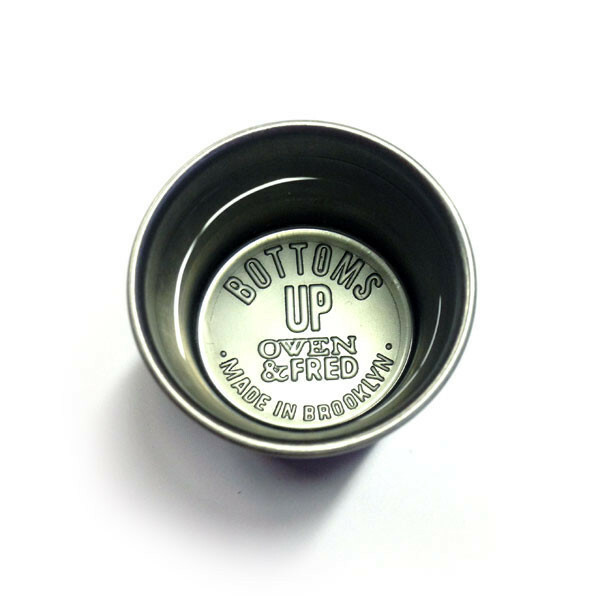 See all the great doorbells, and other door-related products, from the Doorbell Factory here. I have found the perfect recipe for the transition from soup season to grilling season, this recipe for Grilled Corn Chowder I found in Better Homes & Gardens magazine. Sure it is technically spring, but it is still chilly in much of the country so it is ideal for grilling outside and bringing your fare inside to finish off a great meal. 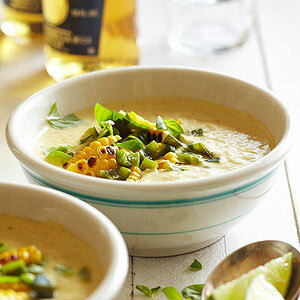 This recipe for Grilled Corn Chowder is the best of both words. Find the recipe for Grilled Corn Chowder from Better Homes & Gardens magazine here. Check all the cool features of Better Homes & Gardens here. 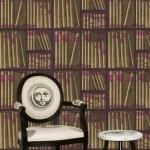 Cole & Son is one of the foremost purveyors of fine wall coverings in the world. 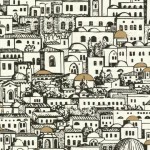 One look at their website to see their full collection of wallpaper designs will let you know why they are considered one of the best. 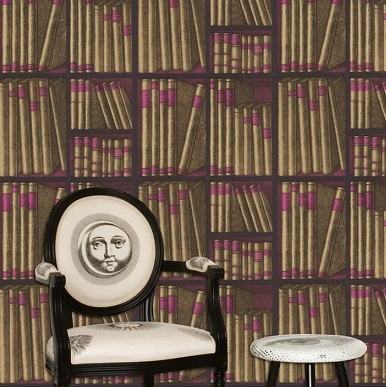 See The Fornasetti Collection from Cole & Son here. 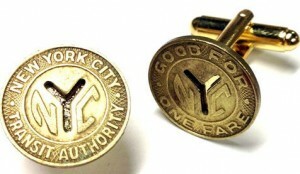 Check out all of Cole & Son’s collections here. I love the salad dressings from Braswell’s Carafe Salad Dressings line – especially Braswell’s Balsamic Herb Vinaigrette. Check out the full line of Braswell’s Carafe Salad Dressings here. You know those half-popped popcorn kernels that you love to find at the bottom of the bowl? They are always a nice crunchy treat after eating all the fluffy fully popped kind. 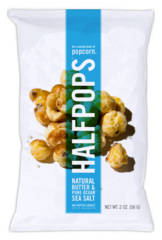 Well the fine folks at HalfPops have mastered the art of, well, half popped popcorn and have a full line of flavored half-popped popcorn treats. Try the butter and sea salt kind for a new twist on the old school classic. 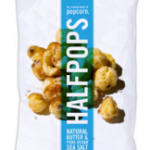 Learn more about HalfPops here. Let’s face it, most candy bars are made for kids or for adults to indulge in while remembering their favorite candy from childhood. Well, the fine folks at The Grown Up Chocolate Company have created a whole line of candy bars aimed at, well, exactly what their name implies – grownups! Learn more about the Grown Up Chocolate Company here. Grown Up Chocolate Company products can be purchased in the US from fine retailers like Chelsea Market Basket. Meanwhile, the fine folks at QUIN, candy makers in the lovely city of Portland, OR, have updated confections for grown-ups and kids alike. QUIN’s modern candy can be found at fine retailers throughout the US. 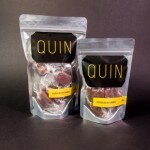 But lucky for us, QUIN has an online shop and will ship right to your door. There is a lot for me to love about the fine folks at Lamp-In-A-Box. 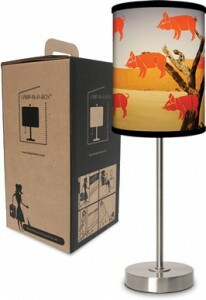 First, they have a great line of lamps featuring iconic and evocative images like vintage postcards and famous works of art. The lamps are stylish and with hundreds of art options – including some funky designs by modern artists – there is bound to be something that you’ll love for your home or office. About Lamp-In-A-Box: “Lamp-In-A-Box was founded in 2007 by Daniel Cytrynowicz with the idea of redefining people’s experience with table lamps. The vision from the beginning was to create a fun, relevant and affordable lamp, challenging the age-old image of the sober, virtually invisible lighting object in everybody’s home. Lamp-In-A-Box’s lamps have become “objects of desire”, being sold in furniture, gift and museum stores, boutiques, catalogs, websites and even record stores, as well as being used as gifts for the promotional market. I love many of the art options Lamp-In-A-Box offers, but there is something really special about the Schwinn bicycle images. Oh yeah, and if you can’t find anything that suits your interest (unlikely) you can create your own lampshade using your own images. I have been a big fan of artist Ralph Steadman since I first “discovered” him when I was a student back in the day. 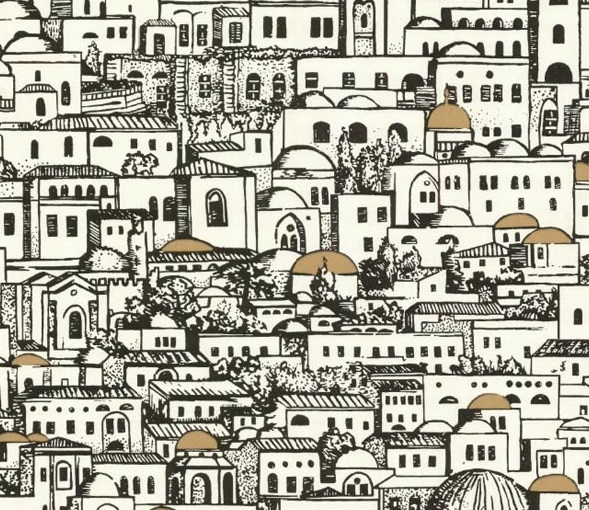 I was drawn to his work before I knew who the artist was, as in I liked several images I had seen before realizing it was the same artist – a sure sign that you really like someone’s talent. Mr. Steadman’s work is sometimes messy, often controversial and always weird – and I love it. Mr. Steadman, maybe best known for his collaborations with Hunter S. Thompson and countless editorial illustrations, has totally embraced his weirdness, as he titled his book, Proud Too Be Weirrd and it is one crazy trip. 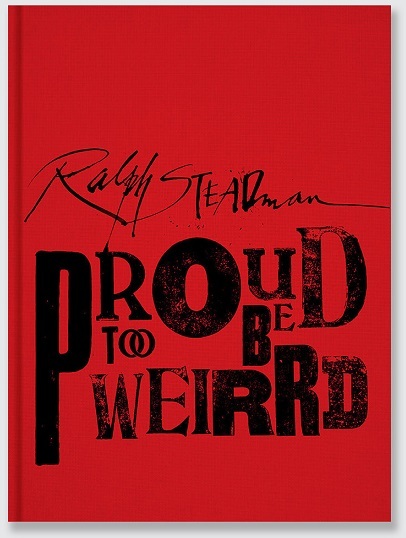 Ralph Steadman: Proud Too Be Weirrd is chock full of Mr. Steadman’s artwork of course, but it also a wonderful literary narrative full of wit and keen observations from an artist who transcends his medium. Ralph Steadman: Proud Too Be Weirrd by Ralph Steadman is available from Amazon and other fine book retailers. I love the work the fine folks at Images of the Past Gallery are doing. 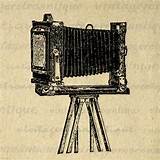 The Dover, NH-based photography preservationists specialize in restoring and curating collections of vintage photographs. Their Dover location includes a gallery of their current collections on exhibition – a taste of which can be found on Images of the Past Gallery’s website. I love the vintage photos of New Hampshire’s White Mountains. Images of the Past Gallery online here is located at 35 Atkinson Street in Dover, NH. Well, it is still soup season, one thing that made the long cold winter we endured survivable. Soon it will be too warm to stay in with a nice bowl of soup and I will be longing for these days – but until then, I will be trying all sorts of new soup recipes. 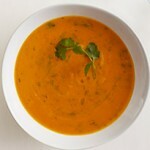 I found this recipe for Roasted Sweet Potato and Garlic Soup from O, The Oprah Magazine, and it sounds tasty. I love the part about this soup being “whipped up easily” – just my type of recipe. 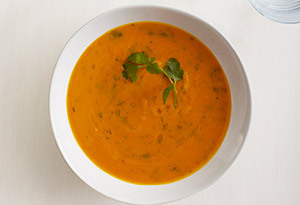 Find the Roasted Sweet Potato and Garlic Soup recipe from O, The Oprah Magazine here. Visit the homepage for O, The Oprah Magazine here. Music education is one of those things that we know every kid should have, but it is often the first thing that gets cut when budgets are tightened or worse, it was never an option. That is why I like to support organizations that are dedicated to providing arts education to children, like the Nat King Cole Generation Hope. 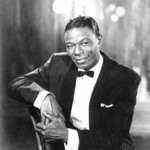 The Nat King Cole Generation Hope organization is not only helping support music education for children, it is keeping the legacy of its namesake alive – the great Nat King Cole. 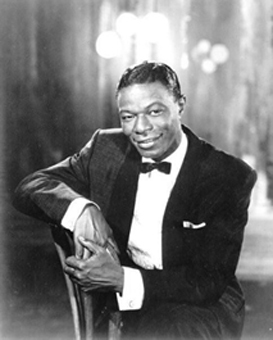 Learn more about – and support – Nat King Cole Generation Hope here. I am a man and I love men’s accessories, like handkerchiefs, belts, watches, cufflinks and all those other things that are usually relegated to the men’s “gift” table at your local department store. But alas there are others out there that honor these classic goods for men, like the fine folks at Owen & Fred, who offer a wonderful selection of men’s accessories made in the USA. 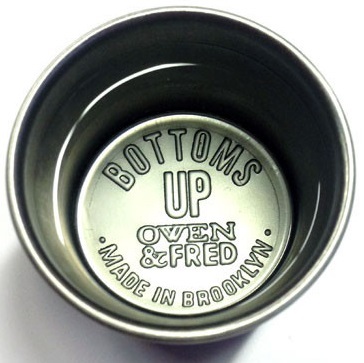 Owen & Fred is the perfect place to shop for a gift for the man in your life… like me! 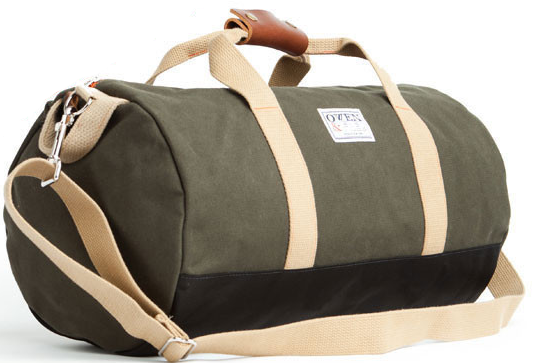 See all the “Men’s Goods. Made Great.” products of Owen & Fred here.